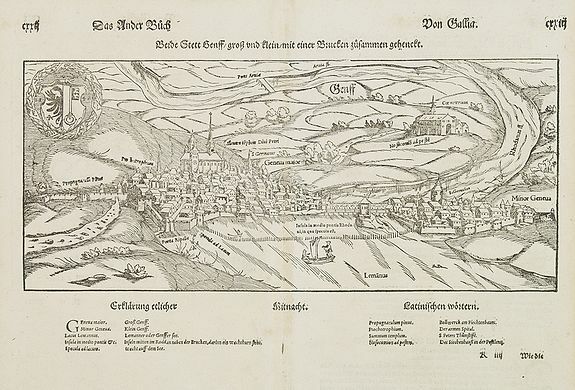 Map maker : MÜNSTER, S.
Date : Basle, ca. 1550. Size : 7.9 x 15.0 inches. / 20.0 x 38.0 cm. Description :Early wood block print of Geneva. From his Geographia , that great compendium of Renaissance knowledge. Condition : Woodcut. Some minor discolouration along center fold. In good condition.